Hans Jacob Matzinger-1 was born in 1679 in Marthalen, ZH, Ellikon, Switzerland. He died on 08 Aug 1739 in Marthalen, ZH, Ellikon, Switzerland. Anna Frau Enfelder was born on 28 Jul 1667 in Flaach, ZH, Ellikon, Switzerland. She died on 07 Feb 1737 in Flaach, ZH, Ellikon, Switzerland. Jacob Matzinger was born in 1698 in Marthalen, Zurich, Ellikon, Switzerland. He married Margaretha Fisler on 03 Feb 1722 in Rheinau, Zurich, Ellikon, Switzerland. He died on 09 Oct 1763 in Northampton, Pennsylvania. Gertraud Matzinger was born in 1707. Herman Matzinger was born in 1704. Hans Heinrich Matzinger was born in 1712. Jacob Matzinger-2 (Hans Jacob-1) was born in 1698 in Marthalen, Zurich, Ellikon, Switzerland. He died on 09 Oct 1763 in Northampton, Pennsylvania. Margaretha Fisler was born on 17 Mar 1694 in Marthalen, Zurich, Ellikon, Switzerland. She died on 09 Jan 1733 in Marthalen, Zurich, Ellikon, Switzerland. Felix Motsinger was born on 21 Nov 1726 in Marthalen, Zurich, Ellikon, Switzerland. He married Christena Laughenour in 1754 in Pennsylvania, USA. He died on 08 Jun 1791 in Rowan, North Carolina. Hans Jacob Matsinger was born in 1723. Ufn Motsinger was born in 1726. Hans Conrad Matsinger was born in 1729. Kleinfelix Matzinger was born in 1731. Felix Motsinger-3 (Jacob-2, Hans Jacob-1) was born on 21 Nov 1726 in Marthalen, Zurich, Ellikon, Switzerland. He died on 08 Jun 1791 in Rowan, North Carolina. Felix is the ancestor of all the NC Motsingers. He was baptized at Marthalen in 1727, immigrated with his parents in 1735, and appears on PA tax lists in 1762 and 1763 in Heidelberg township, Northampton County. The birthdates of his children suggest that he married probably in the late 1750s in PA, but we don't know the name of his first wife. In 176 he moved to Rowan Co., NC and purchased land in the Abbotts Creek area (present-day Davidson Co.). He served with Francis Marion in South Carolina during the Revolution. In 1790 he married Elizabeth, widow of John Long. He died in Rowan Co, NC on 8 Aug 1791. His will names his sons John, Jacob, and Daniel Motsinger, and a daughter Elizabeth Ham, also Elizabeth Long's children Susannah, John, Jacob, and Frederick Long. "War of 1812: Felix, 1st Regt. of Sutton's Ohio Militia, Capt. McMaine's Riflemen, Nov. 30, 1812 to Feb. 11, 1813." Felix's grave is lost, the cemetery was plower over in 1920. Christena Laughenour was born in 1728 in Heidelberg, Northampton, Pennsylvania. She died in 1789 in Pennsylvania, USA. John Motsinger was born in 1762 in Wallburg, Rowan, North Carolina. He married Susannah Long on 26 Nov 1791 in Rowan County, North Carolina. He died in 1811. Jacob Motsinger was born in 1761. He died in 1851. Daniel Motsinger was born in 1760. Elizabeth Motsinger was born in 1764. David Motsinger was born in 1766. John Motsinger-4 (Felix-3, Jacob-2, Hans Jacob-1) was born in 1762 in Wallburg, Rowan, North Carolina. He died in 1811. Jefferson Motsinger was born in 1810 in Tennessee. He married Elizabeth Pearson on 15 May 1833 in Wilson County, Tennessee. 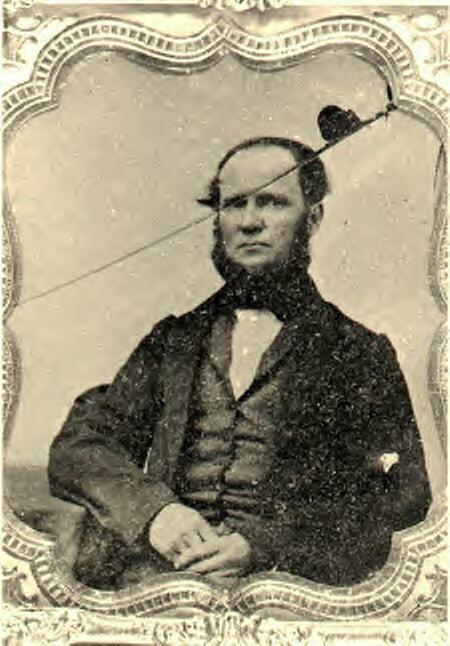 Elijah Motsinger was born in 1805. Matthew Motsinger was born in 1807. Jacob Motsinger-4 (Felix-3, Jacob-2, Hans Jacob-1) was born in 1761. He died in 1851. Hannah Brown was born in 1760. She died in 1835. Hannah Motsinger was born in 1791. He died in 1850. George Motsinger was born in 1796. He died in 1867. Michael Henry Motsinger was born in 1798 in Rowan, North Carolina. He died in 1878 in Fulton, Illinois. Jefferson Motsinger-5 (John-4, Felix-3, Jacob-2, Hans Jacob-1) was born in 1810 in Tennessee. Elizabeth Pearson was born in 1812 in Tennessee. Jefferson Motsinger was born in 1832 in Tennessee. He died on 31 Oct 1898 in Williamson , Illinois. William Thomas Motsinger was born in 1832. Eliza J. Motsinger was born in 1837. Stephen L. Motsinger was born in 1838. Howell James Motsinger was born in 1840. Felix I. Motsinger was born in 1842. Phebe D. Motsinger was born in 1843. Mathew A. Motsinger was born in 1844. Susan D. Motsinger was born in 1846. Missouri Adaline Motsinger was born in 1849. Lewis Motsinger was born in 1852. Martha Motsinger was born in 1854. Jefferson Motsinger-6 (Jefferson-5, John-4, Felix-3, Jacob-2, Hans Jacob-1) was born in 1832 in Tennessee. He died on 31 Oct 1898 in Williamson , Illinois. Nancy M. Keaster was born in 1835 in Williamson , Illinois. Mary J. Motsinger was born in 1853 in Williamson , Illinois. Martha A. Motsinger was born in 1855 in Williamson , Illinois. Salina F. Motsinger was born in 1857 in Williamson , Illinois. William L. Motsinger was born in 1863 in Williamson , Illinois. Emma Motsinger was born in 1869 in Williamson , Illinois. Edward M. Motsinger was born in 1871 in Williamson , Illinois. Birthie Motsinger was born in 1878 in Williamson , Illinois. Susan Katherine Motsinger was born on 23 Sep 1864 in Williamson , Illinois. She died on 24 Aug 1948 in Williamson , Illinois. Susan Katherine Motsinger-7 (Jefferson-6, Jefferson-5, John-4, Felix-3, Jacob-2, Hans Jacob-1) was born on 23 Sep 1864 in Williamson , Illinois. She died on 24 Aug 1948 in Williamson , Illinois. Samuel T. Hanks son of Spencer Hanks and Mary Jane Sims[1, 2, 3] was born on 30 Jan 1860 in Williamson , Illinois[1, 2, 3]. He died on 27 Feb 1948 in Williamson , Illinois. Oscar Thomas Hanks[4, 5, 6, 7, 8] was born on 01 Dec 1882 in Williamson , Illinois[4, 5, 6, 7, 8]. He married Emma Marie Reese in 1906. He died on 30 Mar 1971 in Williamson , Illinois. Oscar Thomas Hanks-8 (Susan Katherine-7, Jefferson-6, Jefferson-5, John-4, Felix-3, Jacob-2, Hans Jacob-1)[4, 5, 6, 7, 8] was born on 01 Dec 1882 in Williamson , Illinois[4, 5, 6, 7, 8]. He died on 30 Mar 1971 in Williamson , Illinois. Mary Alberta Hanks-9 (Oscar Thomas-8, Susan Katherine-7, Jefferson-6, Jefferson-5, John-4, Felix-3, Jacob-2, Hans Jacob-1) was born on 19 Aug 1915 in Williamson , Illinois. She died on 13 Sep 2005 in Marion, Illinois. Roberta June Hill-10 (Mary Alberta-9, Oscar Thomas-8, Susan Katherine-7, Jefferson-6, Jefferson-5, John-4, Felix-3, Jacob-2, Hans Jacob-1) was born on 09 Nov 1932 in Marion County, Illinois. She died on 02 Nov 2006 in Oswego, Illinois.